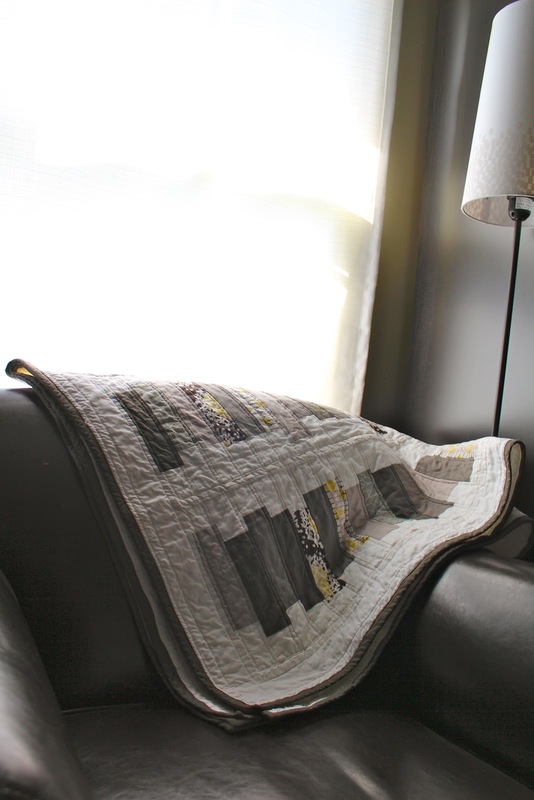 We've made a lot of quilts here at Hitched & Stitched, but until recently we had never made one for ourselves. 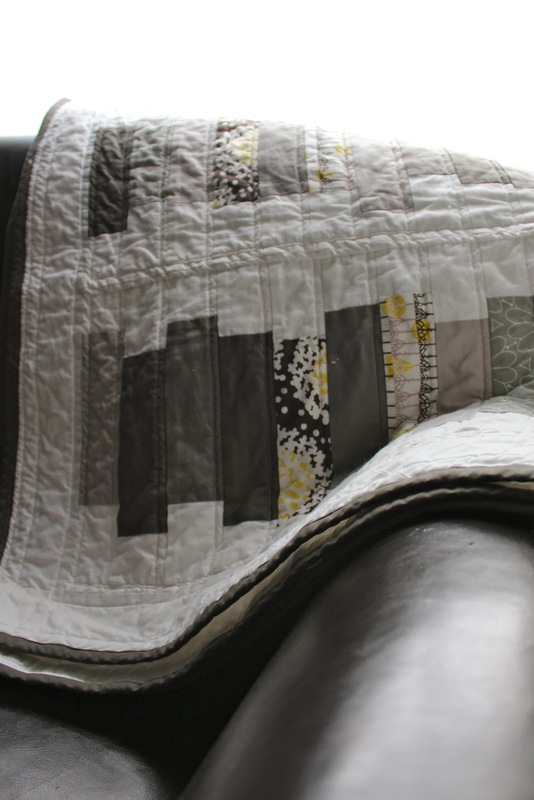 I decided to remedy that oversight and came up with my Drunken Library quilt - so named because I think it resembles haphazard stacks of books. I originally imagined that it would be folded in thirds and draped across the foot of our bed. But anyone who has known me for long knows that I'm not what you would call a detail person and sometimes petty little things like measuring are just too much of a bother when in the midst of a creative whirlwind. I just kept adding blocks to the quilt until it "looked done" to me (and until I ran out of fabric). It turned out to be exactly the width of our bed and not an inch more - which sounds impressive but looks silly, since there was no overhang on the sides. 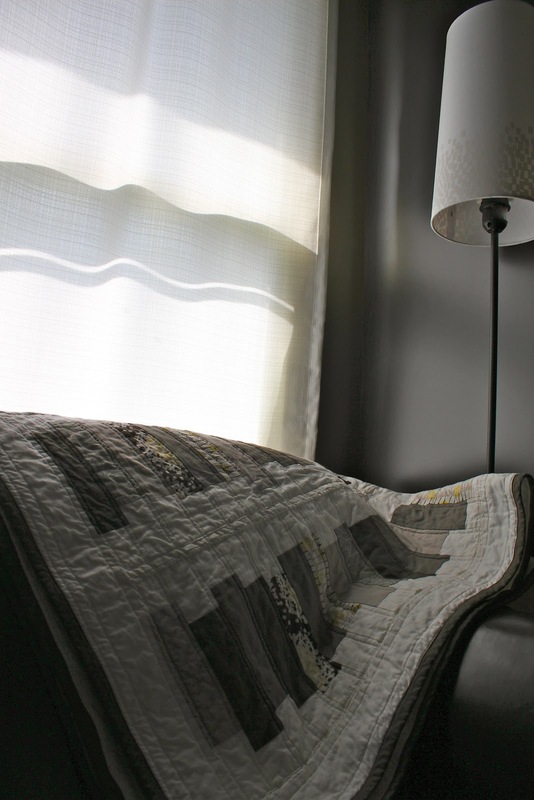 So the quilt now resides folded and draped over the back of the lounge chair that sits in front of our bedroom window. All in all, I am quite pleased with the end product and glad to have our own quilt in our house for the first time! Love love love love love love love love love love love love love love LOVELY!!! It's beautiful! beautiful - and good for you! 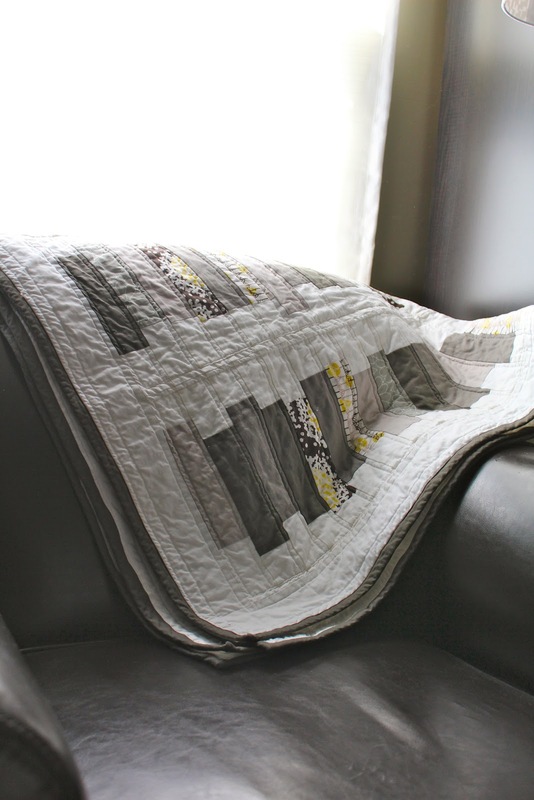 That is a gorgeous quilt...I love it!